Dr. Gregory joined the faculty at Samford in 2004. Prior to coming to Samford, she held a post-doctoral research position with the United States Department of Agriculture (Catfish Genetics Research Unit) and was a faculty member at Tuskegee University. Dr. Gregory research focuses on bioremediation of pharmaceutical drugs found in wastewater. Large amounts of pharmaceuticals make their way into the waste stream due to ingested or unused medications. These drugs often have serious effects on river ecosystems. Lignolytic fungi are useful in degradation of these compounds. Extensive studies of white-rot fungi have shown that three enzymes (manganese peroxidase, laccase, and lignin perioxidase) are responsible for the depolymerization of lignin. Researchers have also shown that white rot fungi are able to degrade Bisphenol A (a raw material used in the chemical synthesis of industrial polymers). These enzymes are important as decay organisms, aiding in the breakdown of logs, leaves, stems and other organic debris. This is an important role of fungi resulting in the recycling of essential nutrients in the biosphere. Ethinylestradiol is one of many pharmaceutical contaminants found in waste water. Dr. Gregory investigates the degradation of ethinylestradiol by white-rot fungus. Analysis of the degradation products are performed using LC-MS. 1H NMR analysis of the breakdown can be used in the determination of these products produced from the degradation process. 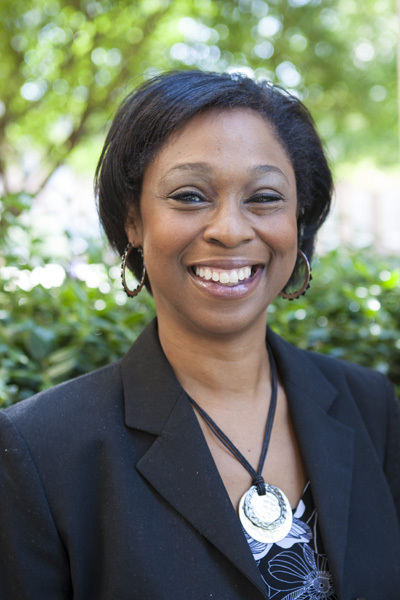 Dr. Gregory also serves as the Director of Diversity and Intercultural Initiatives. She serves as the advisor of Delta Sigma Theta Sorority, Inc. and Student Members of the American Chemical Society. During her spare time Dr. Gregory enjoys spending time with her family; her husband, Shawn, her daughter, Shawnise and her adult step-son, Shawn. Bosworth, B. G.; Small, B. C.; Gregory, D., Kim, J.; Black, S.; Jerrett, A. Effects of rested-harvest using the anesthetic AQUI-S ™ on channel catfish, Ictalurus punctatus , physiology and fillet quality. Aquaculture2007, 262, 302-318. Gregory, D.J. ; Waldbieser, G.C. ; Bosworth, B.G. Cloning and characterization of myogenic regulatory genes in three Ictalurid species. Animal Genetics 2004, 35, 425-430. Henderson, P.T. ; Jones (Gregory), D.; Hampikian, G.; Kan, Y.; Schuster, G. B. Long distance charge transport in duplex DNA: the phonon-assisted polaron-like hopping mechanims. Proc. Natl. Acad. Sci. U.S.A. 1999, 96, 8353-8358.